Last week I shared our AW wardrobe updates for G & T. Lots of T’s bits are already wrapped up for his birthday. G’s extra AW pieces are starting to arrive now. Zara had a next day delivery option at the same flat shipping rate. I ordered at 10pm and arrived at 11am the following day. So super speedy in the UK. 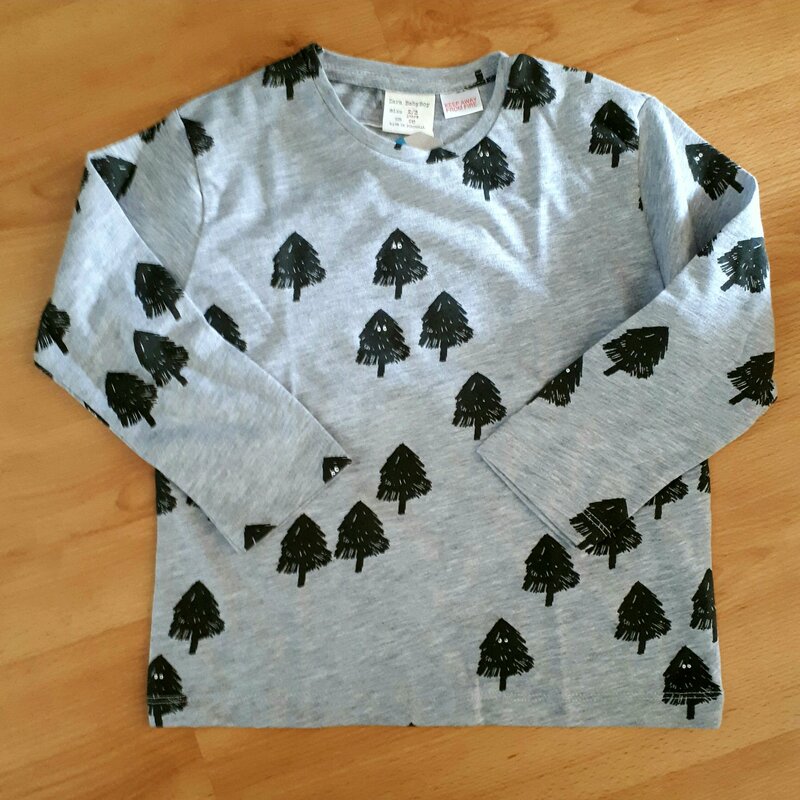 First up is this grey mark long sleeved tee with forest print. What the photo may not show are the tiny eyes peeping out of some of the trees. What creatures are hiding there? Lovely detail. Soft handle, cute print and grey based. Perfect. 10 out of 10. Not sure what makes this a boys top but it’s going on a girl here. Perfect with all the nursery jeans and cords. Next up a stripe. I love a stripe on my own tee shirts. I’m wearing a Breton stripe now. 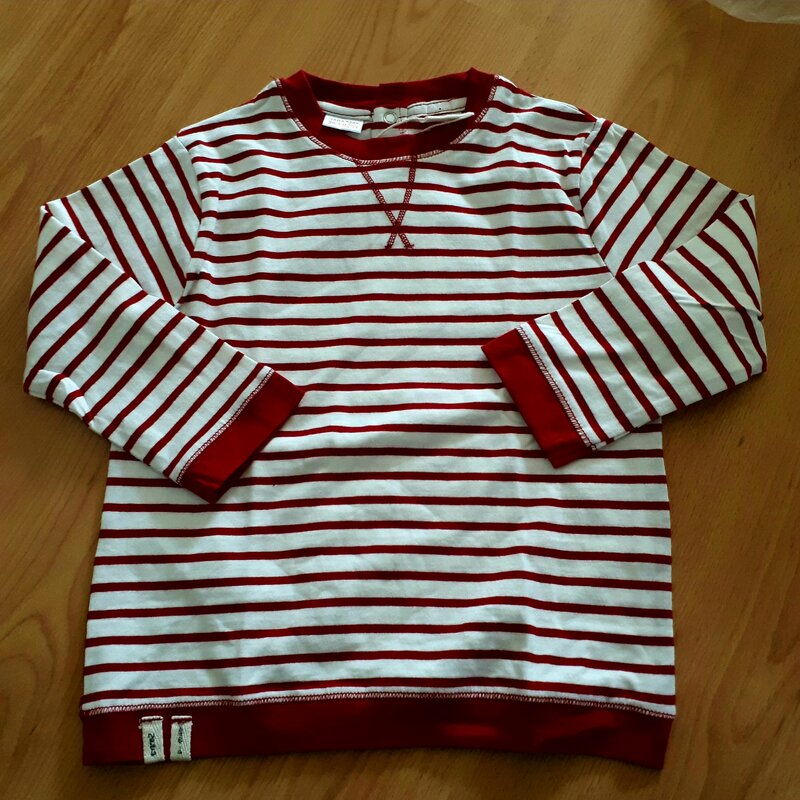 This stripe is cosy and more white then red. I’m not worried about staining as it’s a play top but it is lovely. Nice extra details such as the neck stitching and the double tabs at the hem band. Perfect with denim leggings. Again not sure what makes this a boys top. This will be a great pairing with hot pink or leggings. We have a bright red pair too. Lastly the Always Smiling top. This is merchandised in the girls area but I think is unisex. The fabric is plush so a thin sweatshirting. My daughter’s nursery gets so hot this thinner layer is much better than a thick fleece or jumper. 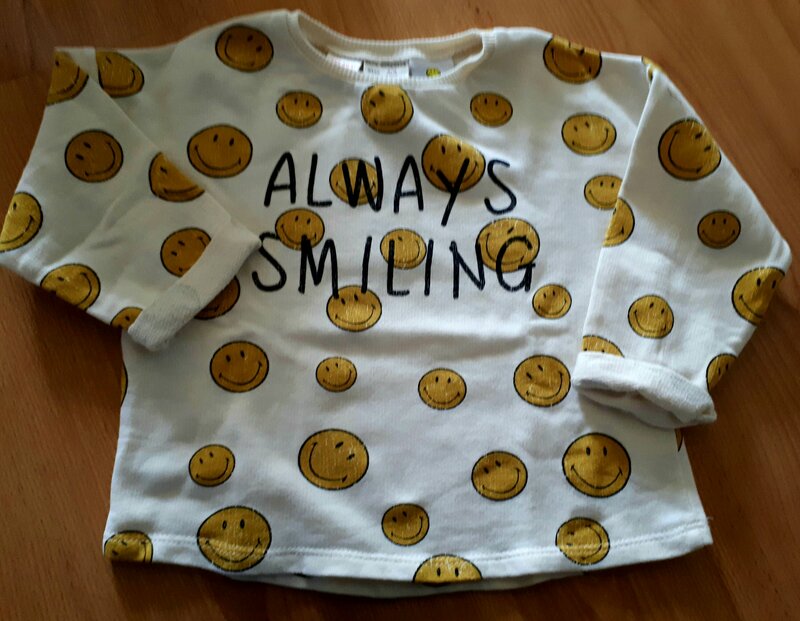 It’s an actual branded top licensed from Smiley themselves. I love the fact the print is over the top smiley faces everywhere. This t shirt will make a liar of me, as with all children they sometimes are not smiling! Soft is the word G used to describe it. It a boxy shape and a tiny bit cropped so depending on how you want to wear it. If you want it as a normal size top I would say size up. Successful non shopping trip. 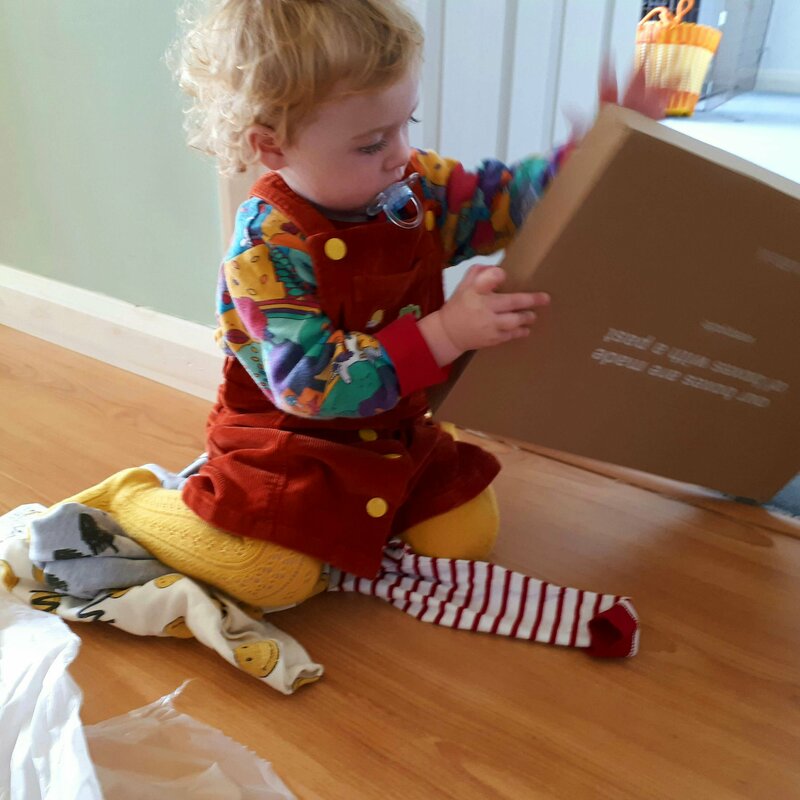 The best thing about a delivery is opening them and the boxes! G Managed to open this herself. Gosh only knows how she got thru the plastic wrap but she loved the box and the clothes come tissue wrapped like a gift. The clothes were being used as a cushion when I found her!